It’s been 257 days since I buckled my seat belt aboard an Icelandair jet, hurtled down a runway at Keflavik airport, and left a piece of my soul sitting atop a volcanic rock in the middle of the chilly and unforgiving North Atlantic. I spent the next six misty-eyed hours flying home to Minnesota, Land of 10,000 Lakes and its own variety of Vikings, and have been nursing an enormous, Iceland-shaped hole in my heart ever since. Iceland. It got me and it got me good. My name is Mary and I traveled to Iceland for the first time in May 2018. Exploring this breathtaking country was one of the most life-affirming, heart-changing, soul-shaking experiences of my life! I am now smitten with everything about this country, from its unique landscape and storied history to its fascinating culture and spirited people. I am, you could say, Iceland #obsessed. But what brought me to the magical Land of Fire and Ice in the first place? ICELAND? WHO GOES TO ICELAND? First, a confession is in order. Iceland wasn’t always on my radar. In truth, Iceland just didn’t make my Spidey senses tingle. At all. In fact, I once privately ridiculed someone who traveled there! Many years ago, I was participating in a study abroad program and living in a castle outside Edinburgh. The experience involved sending students off for a couple weeks to explore at their discretion. Most of us, predictably, headed straight for mainland Europe without blinking. We did not pass Go. We did not collect $200. One young man among us, however, opted for Iceland, and with that, I was genuinely confused. Why on Earth choose Iceland when the Eiffel Tower in Paris, Coliseum in Rome, and waterways of Venice awaited? And I’m sorry, but was he nuts? The Spanish Steps? Check-ity, check, check, check. Was I having a blast? Absolutely. But to be perfectly honest? I was traveling for the sake of traveling. Thankfully, two things have happened since those days of collecting famous landmarks and monuments like trophies or medals for an imaginary shelf. First, my desired travel locations have become far less about hammering out a list of renowned hotspots I can brag about having seen in person, and more about seeking a more profound and meaningful connection to the natural wonders of the Earth. Maybe I got wise? Maybe I got old? Somewhere, along the way, Iceland arrived. 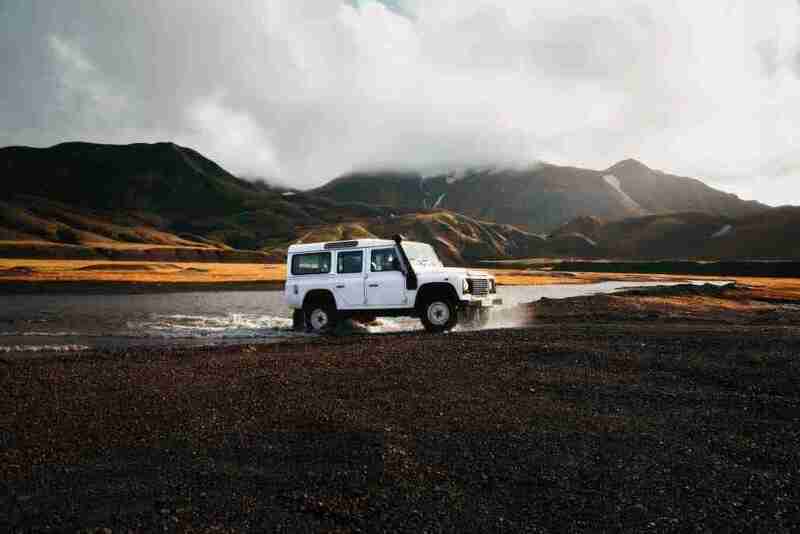 One day, and seemingly out of nowhere, Iceland was, in fact, everywhere. Overheard in conversations. Highlighted on travel shows. Featured all over social media. Friends were returning from trips there with magnificent pictures in hand and telling stories of a haunting, stunning, otherworldly landscape. Eventually, a seed began to take root about where I should travel to next. WHO GOES TO ICELAND? I DO! Here’s the thing: ideas grow at an alarming rate once they’ve been planted in my brain! I decided to feed my little Icelandic sapling some research and reflection and before long I had a full-fledged Nordic forest taking up residence in my head! 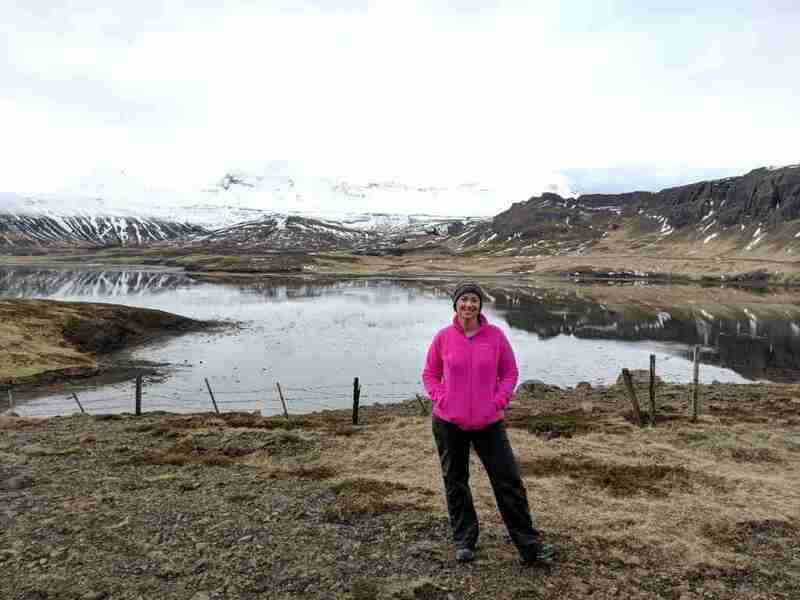 I learned that Iceland is a reasonably-priced direct flight from Minneapolis and offers an array of adventurous experiences for any and every traveler, from hiking and horseback riding to snorkeling and snowmobiling. I also learned it’s the safest country in the world, English is widely spoken, and the local people are incredibly warm and friendly. Aren’t gorgeous ginormous waterfalls the worst? A trip to this country would mean scaling volcanic craters rising above moss-covered lava fields and traversing ash-covered glaciers thousands of years old! It would mean climbing basalt columns rising from the beach and discovering epic waterfalls around every bend in the road. It would mean steam valleys and staggering cliffs, glacial lagoons and geothermal pools. It was settled then. My husband and I were going to Iceland! And though I didn’t know it quite yet, choosing to go to Iceland was just the beginning of a budding love affair with an unbelievable country. There’s just no place like Iceland. WHO SHOULD GO TO ICELAND NEXT? YOU! 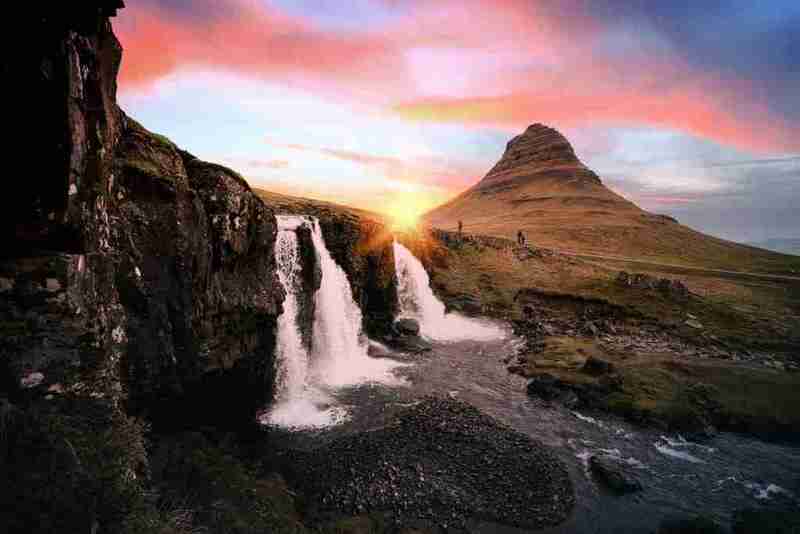 There’s only one thing left, then, and that’s for you to choose Iceland and discover its magic for yourself! 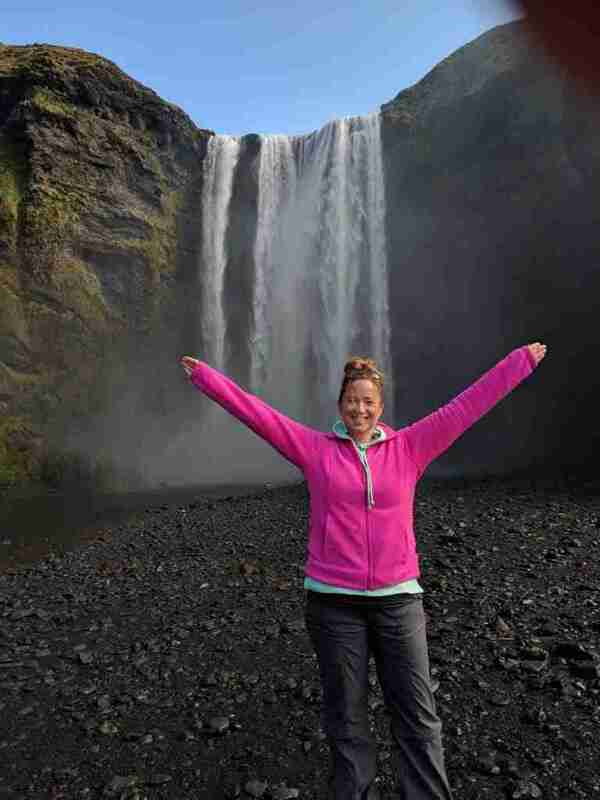 But Mary, you might be saying, you’ve been pining away for Iceland for the last 257 days! You left a part of your soul on a rock in the middle of the sea, for crying out loud! Could it possibly be worth all that heartbreak? The answer is easy, friend. In the words of this Minnesotan? Ready to fall in love with Iceland? Nordic Green Travel helped me build the trip of a lifetime! Choose from one of their self-drive tours or let them customize an itinerary for you that suits your specific travel goals and preferences. You can peruse your tour options here.